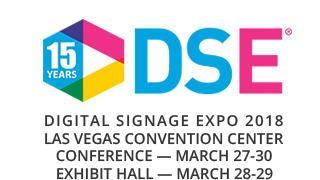 NEXCOM is making its annual appearance at Digital Signage Expo (DSE) March 28 & 29, 2018. Going on 15 years and taking place at Las Vegas Convention Center, DSE is the world’s largest and longest running conference and trade show exclusively dedicated to showcasing innovative digital display and interactive technology solutions for customer and employee communications. At DSE, NEXCOM will highlight its Kiosk Panel PC Series, KPPC, designed to be budget friendly, modular and for wide purpose. The fan-less, IP65-rated KPPCs have an operating temperature range of -20 to 70 degrees Celsius. In addition to size options of 10.1", 15.6", 18.5" and 21.6", its modular design allows for easy customization, such as adding/removing I/Os and color/printing. The completely flat surface design helps with easy maintenance and cleaning, and mounting is made simple with panel or VESA options.